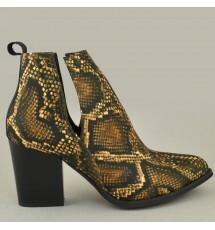 Side cut cowboy style booties, made of saten snake printed. The heel is 8 cm. Made in Greece .. 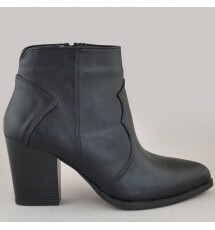 Cowboy style booties, made of synthetic leather. The heel is 8 cm. 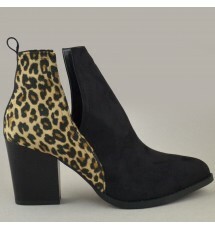 Made in Greece ..
Side cut cowboy style booties, made of synthetic leather, with snake print at the back. The heel..
Compat booties of genuine suede, made in Greece. 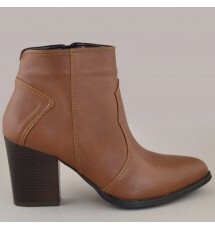 The heel is rubber 3.5 cm ..
Compat booties of genuine leather, made in Greece. 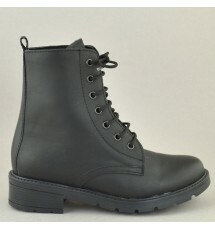 The heel is rubber 3.5 cm .. 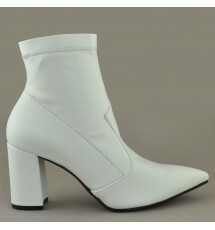 Pointed booties made of synthetic elastic suede, made in Greece. 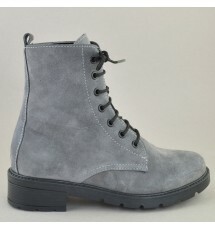 The heel is 8 cm ..
Booties of synthetic elastic suede made in Greece. 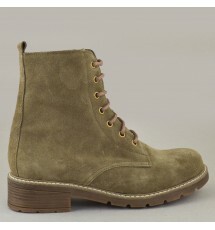 The heel is 5.5 cm ..
Side cut cowboy style booties, made of synthetic suede. 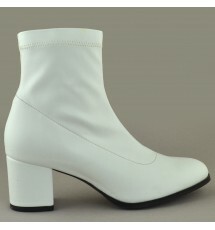 The heel is 8 cm. Made in Greece ..